Come Earth Day, EDUN fans will be able to wear their ethics on their faces, as well as their sleeves. 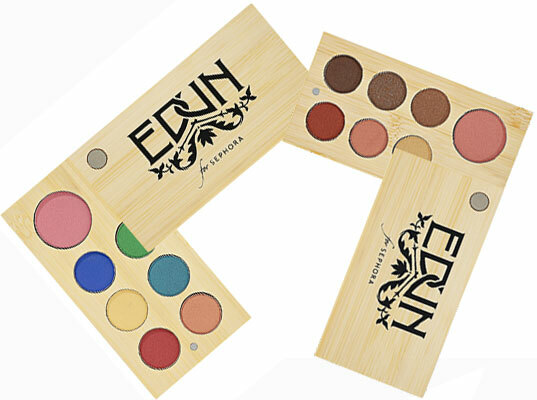 The ethical fashion label has gone halfsies with beauty retailer Sephora to launch the EDUN for Sephora Palettes, a pair of limited edition, Baobab oil-enriched color assortments for the eyes and cheeks. Available in earth-and-ochre tones or vibrant, summery hues, each palette is clad in a natural wood case and an organic cotton drawstring pouch. (Sephora notes that the bag, which is made in Kampala, Uganda, can also double as an MP3 holder.) For your mix-and-matching pleasure are six powder eyeshadows and one powder blush, all of which are paraben-, talc- and allergen-free. $3 from every sale will go to the Conservation Cotton Initiative in Uganda to promote organic cotton farming. 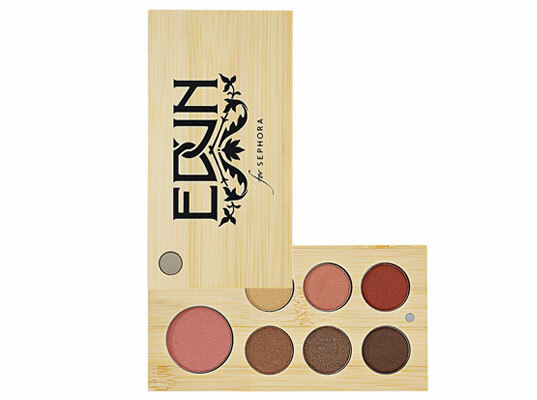 True to EDUN’s mission of driving self-sufficiency in developing countries, the palettes are fairly made to support sustainable trade. Plus, $3 from every sale will go to the Wildlife Conservation Society to fund the Conservation Cotton Initiative in Uganda, which promotes organic cotton farming to improve the livelihoods of local communities.